As standard, the synchronization will typically take place automatically every 5-10 minutes, depending on your settings. To do it manually, please see the instructions below. 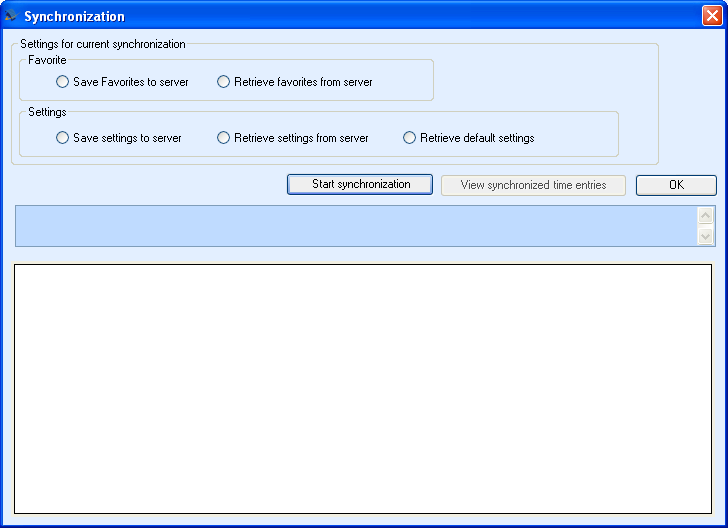 Click on the “Start synchronization” button to start the synchronization. 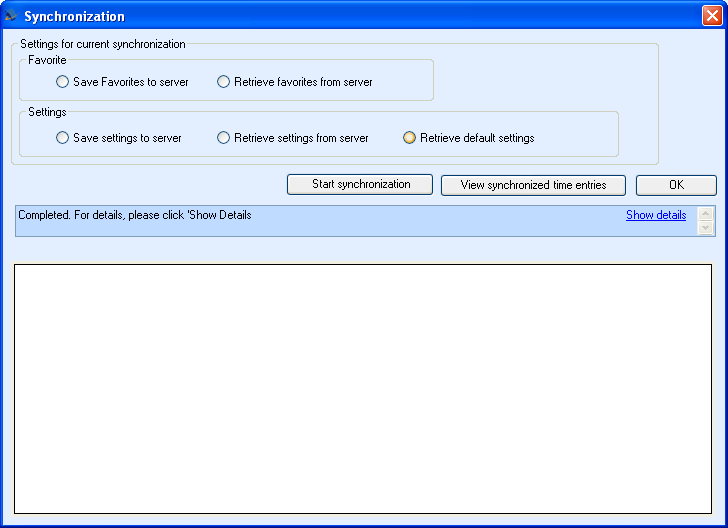 Click on the OK button to close the Synchronization function. You can click on “Show details” to view synchronization details. Click on the “View synchronized time entries” button to see synchronized time entries.